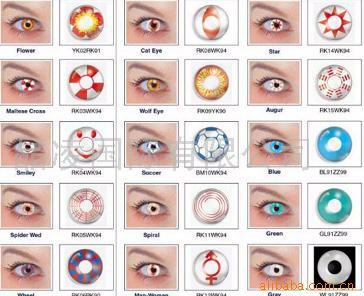 Special-effect contact lenses — including black contact lenses, Halloween contact lenses and other “crazy” lenses — are soft contact lenses that are available for theatrical and novelty uses. Just like colored contact lenses, special-effect (FX) or crazy contacts can be used whether or not you normally wear eyeglasses or contact lenses, because most types are available both with and without lens powers to correct nearsightedness, farsightedness and/or astigmatism. It’s important to note that all contact lenses, including plano Halloween contacts and any other special-effects contacts, are classified as medical devices by the FDA and require a valid contact lens prescriptionfrom a licensed eye care practitioner. 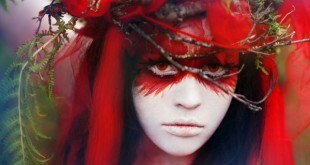 These include the popular black, white and yellow special-effect scleral contact lenses, as worn on the cult TV show True Blood; red and amber colored contacts like those worn in Twilight, New Moon andBreaking Dawn; and Goth contact lenses in patterns of red, black, white and yellow which channel The Exorcist. To buy them, you need a prescription from a qualified eye care professional — even if they’re just for looks and aren’t correcting your vision. Retailers who sell Halloween contacts but don’t require an Rx are selling them illegally. Don’t trust illegal sources! Often they sell non-sterile or expired lenses. They don’t care about your eyes — they just want your money. 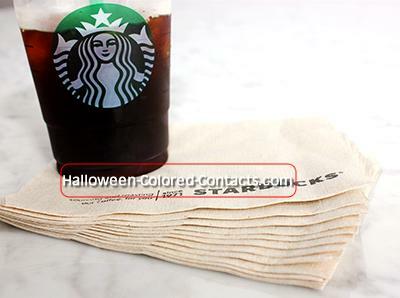 As with other contact lenses, you must clean Halloween contacts properly and store them in a clean case. Your eye care professional can provide instructions. Never, ever, ever share them with anyone. This can lead to serious eye problems. 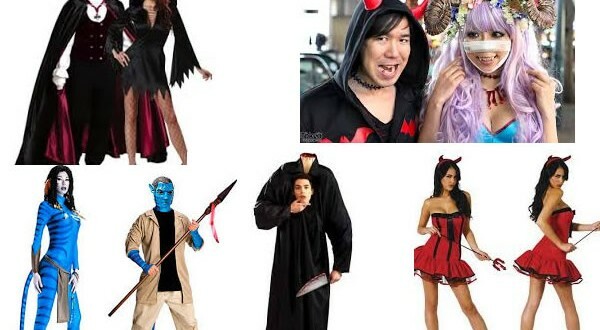 The most popular costumes that incorporate Halloween contacts are zombies, vampires and aliens. Dr. Greenspoon has changed Elvis Presley’s baby blues to brown for the movieFlaming Star, provided Michael Jackson’s wolf eyes for the “Thriller” music video, and has received an Academy Award nomination for his work on Bram Stoker’s Dracula. His most recent film work includes Pirates of the Caribbean and theTwilight Saga.